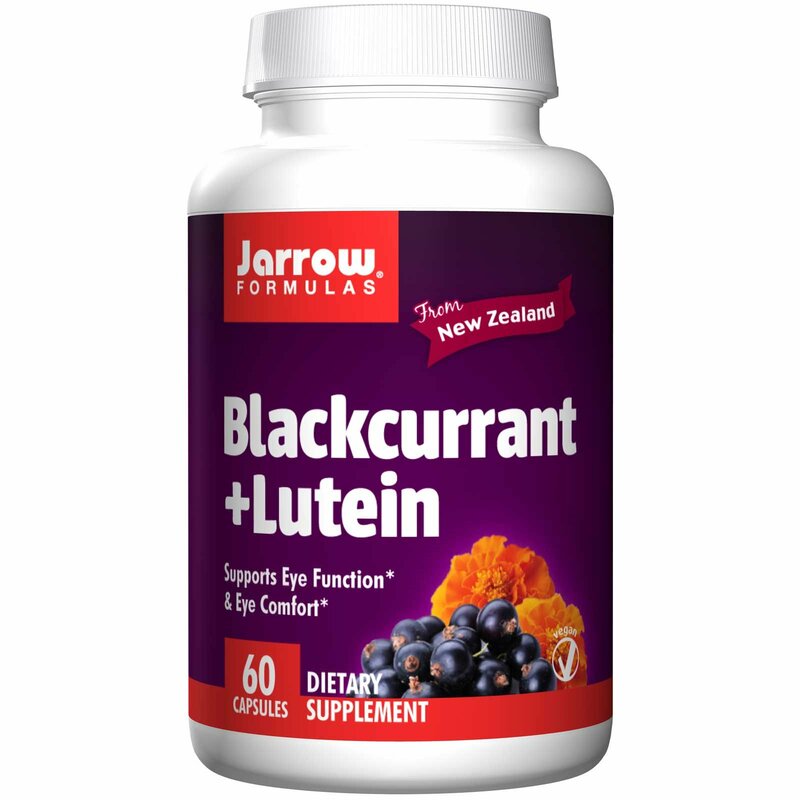 Jarrow Formulas Blackcurrant + Lutein is a powerful formula for reducing eye fatigue and supporting eye function. New Zealand Blackcurrants are among the most antioxidant-rich berries, due to the high content of polyphenol pigments (anthocyanosides) that lend the berries their rich purple color. 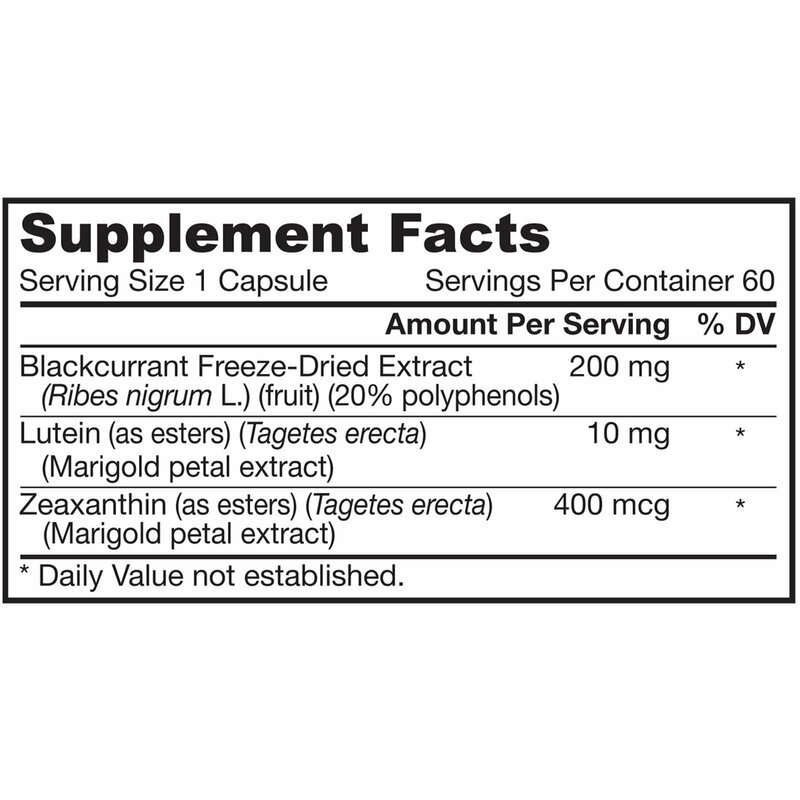 Blackcurrants are particularly noted for their protective effects on eye health, eye discomfort, and visual fatigue. Lutein and zeaxanthin, antioxidant carotenoids found in dark green, leafy vegetables, are important components of the macular pigment in the eye. The macula is responsible for focus and color differentiation, and the macular pigment protects the eyes from ultraviolet radiation and oxidative stress. Usage: Take 1 capsule1 or 2 times per day with food or as directed by your qualified healthcare professional.